Volkswagen might be on the cusp of the electric car revolution, but it’s painfully aware it needs the new 2019 Golf range to be a smash hit for those not yet ready to take the EV plunge. 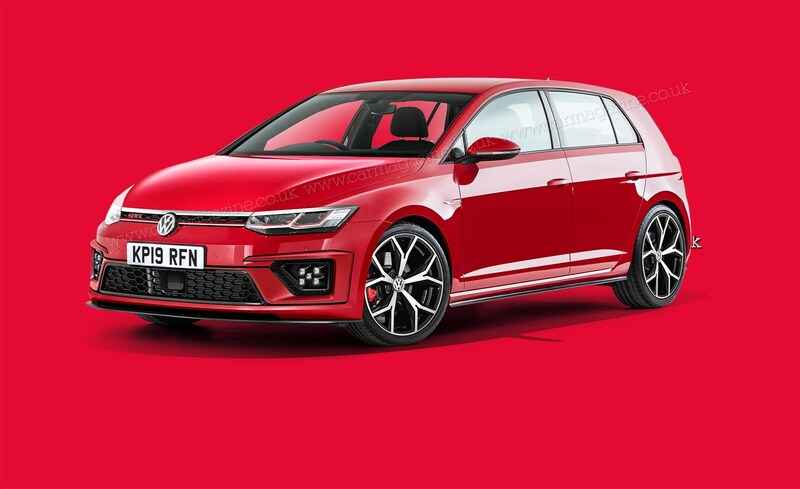 And its halo car - the venerable VW Golf GTI - is returning for its eighth iteration with a mission to tempt hot hatches to stay loyal to the genre. In the circumstances, it’s hardly surprising that the imminent Mk8 Golf GTI does not take many chances. Insiders speak of a great-looking and very well made interior that includes a completely new set of instruments and controls that shuns buttons and knobs. The exterior is said to be modern, sleek, evolutionary with a twist. Among the most prominent styling details are much bigger lower air intakes and five diamond-shaped daytime running lights, depicted in our artist’s impressions here. Not everybody likes the front end, which strikes some as looking like a sad face. But chief designer Klaus Bischoff tells me he’s confident that when you see it on the move you’ll be struck by its freshness and presence. His CEO Herbert Diess nods in agreement. 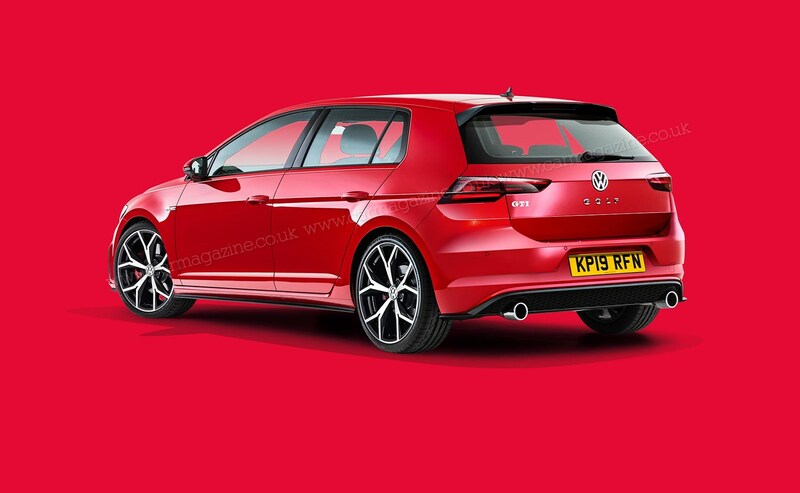 And you can be sure that the GTI will look sharper and more purposeful than more mainstream versions, which is the way it’s been since the first Golf GTI appeared in 1976. Expect the traditional red interior accents and chequered upholstery as well as the strong horizontal lines on the front. The regular Golf GTI returns with its familiar 2.0-litre turbo four now making 232bhp. It comes with a six-speed manual gearbox or, as a cost option, a seven-speed DSG twin-clutch auto. Expect a 0-62mph time of 6.1sec, aided by a marginally lower weight and a more slippery body. Top speed is restricted to 155mph. The GTI Cup is a new addition to the line-up of go-faster Golfs. Inspired by the TCR derivative of the Mk7, it’s the sportiest Golf by a clear margin. It boasts the wildest aero kit, the lowest ride height, the fattest wheels and the biggest brakes, plus a diff lock. The power output is a reassuring 286bhp, and the maximum torque of 273lb ft is on tap from 1600 to 4300rpm. Optionally, you can pay to have the top speed limiter chip removed, buying you 166mph. The next VW Golf R is, again, powerful and composed – an uber-GTI with tidier road manners and a more comprehensive specification. It shares its 328bhp turbocharged 2.0-litre four with the forthcoming Arteon shooting brake. The peak torque of 295lb ft is distributed to all four wheels via the seven-speed DSG. Expect an acceleration time of 4.3sec and relatively frugal fuel consumption. A 48-volt system with mild hybrid technology should be available on all three high-end Golfs. Each model gets its own bumper graphics and cockpit treatment, and options including 20in wheels, larger-diameter cross-drilled sports brakes, lowered sports suspension with adaptive dampers, an Akrapovic exhaust and a blacked-out bodykit.